Helifishing, emergency extraction, aerial sling load, fire fighting, tourism, survey and photography are just some of our mission capabilities. 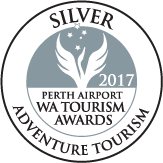 Operating from Kununurra, Purnululu National Park, Mitchell River, Warmun, Katherine and El Questro. Dependable, professional, flexible, safe, skilled, practical. With these awards in our hands, you can trust us to bring you a perfect flight experience, every time. 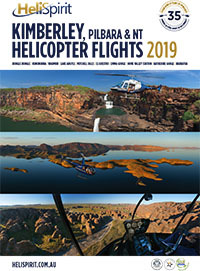 Choose your Bungle Bungle flights, Mitchell Falls flights, Lake Argyle helipicnics, Kimberley helifishing and more. Emergency extraction, aerial sling load, fire fighting, tourism, survey and photography are some of our mission capabilities. 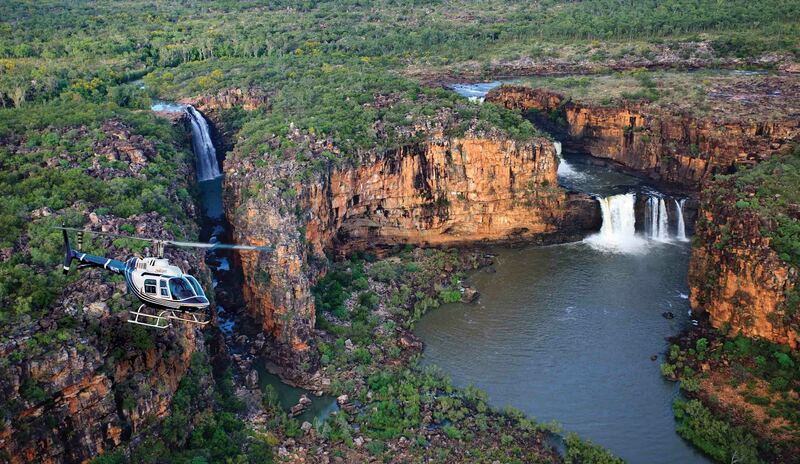 Explore the Kimberley intimately, by private helicopter, from Purnululu to Mitchell Falls and the Kimberley Coast. One of the big bucket items on my wish list was for a heli fishing trip to catch the metre Barra. The experience was second to none and whilst I only caught a 80cm I certainly wasn't disappointed. The knowledge, skill and professionalism of the pilot was incredible as well as his flying skills (!) and I have no hesitation in saying I would do this again tomorrow. Fantastic experience and an absolute MUST DO. My partner and I had a day to remember when we took a 6 hr helifishing trip with one of your pilots, Sam and on the way home landed next to our private waterfall where I proposed to my now fiancée Shae. We just wanted to say that Sam was honestly the best pilot/paparazzi we imagined. He showed us his secret barramundi river, he took us over the breathtaking sites of the untouched Kimberley and on the return..filled the position of cameraman at the watering hole where the magical moment happened. Thank you to both Sam and you guys at Helispirit, it was definitely a day we will never forget. Thank you for your assistance in helping us with our recent chopper flight into the Osmond Range from Warmun. The trip was magic, as expected, and the service we received from Bridget was superb. I would like to mention her helpfulness, interest in our trip and, most importantly, her flying skills. Both the drop-off point and the pick-up points were as planned and without a problem. “Thank you for the great flight from Kimberley Coastal Camp to the Plateau, the Chartered flight from Freshwater via Careening Bay/Donkin Falls/ Kimberley Coastal Camp was the highlight of our 2 week stay in the Kimberley. The Long Ranger was an awesome machine!" The trip easily exceeded our expectations. Liam was a great guide and we felt very safe with his professional and friendly approach especially as we had no real previous experience with helicopters. The accommodation , service and cuisine at all sites was above expectation. We particularly enjoyed the KCC with Jules and Tub and have told all our friends with photo evidence about our experiences - not forgetting shark feeding! And the amazing rock art and fishing etc etc. We now feel very spoilt - it will be hard to ever match such a holiday. Well, what an awesome trip! Thank you so much for putting it all together. Your attention to detail was first class. My wonderful pilot Dan, who was so meticulous, safe and thorough. His secret landing spots were amazing. And the gorgeous Scotty, whose knowledge is extraordinary. We had great times and many laughs. I do hope to join you again one day, but my memories will last forever. 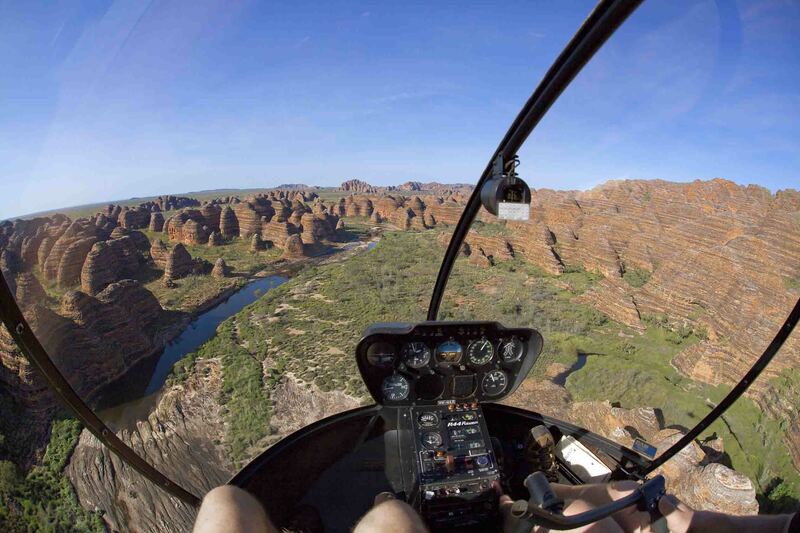 Last week we had the pleasure of a scenic flight over the Bungles with Rick from your Warmun base. My wife hates flying/heights/etc and has never been in a helicopter. Rick took the flight so smoothly and professionally that my wife actually enjoyed the trip - and that's saying something! Many thanks for the drop off and pick up provided by HeliSpirit into the Osmond Ranges for our bush walking group last week. Our pilot Bridget operated in the friendly, safe and professional manner that instills considerable confidence in passengers and displayed an enthusiasm and passion for her work that made for an even more enjoyable trip. 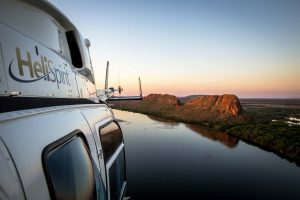 We'll certainly choose HeliSpirit for our next remote bush walking adventure! I just wanted to send a huge thank you and compliments on the wonderful flight Mat and I did for our wedding anniversary last week. From the initial booking, to the planning and accommodating my ridiculous work/children/school schedule....to the day of the flight, with Debs, was just amazing. Every part of it was professional, well planned and just a fantastic experience. Even though we have been in Kununurra nearly 13 years I have never done a flight, and I was so happy to be able to do it with Helispirit. It was truly memorable and I am a firm believer in giving credit where credit is due...seriously cannot fault you guys. 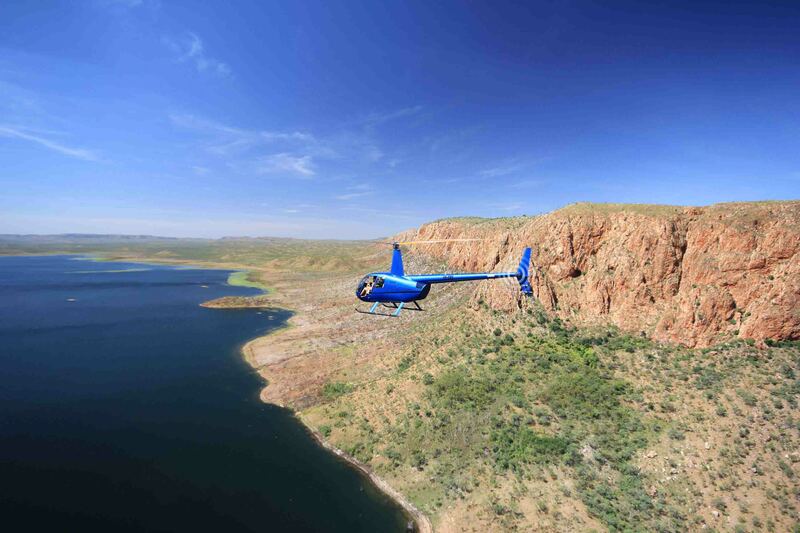 HeliSpirit is the largest helicopter company in the Kimberley with solid history and experience in the remote outback. Our personalised service will ensure your helicopter charters and scenic flights are completed with ease. HeliSpirit is your first choice for all your helicopter services, with a fleet of 24 helicopters chosen to suit the Kimberley region. Our in-house helicopter maintenance facility, at Kununurra airport, maintains our fleet to the highest standards possible. Our professional, well trained pilots are experienced in remote area operations. We fly all year round in the Kimberley, even in the hot monsoonal months from October to April, when other operators move south. 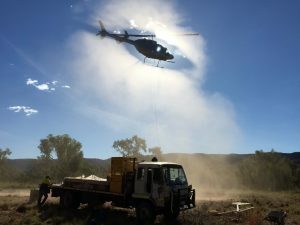 Some of the helicopter services we provide are; passenger charter, mining support, survey, search & rescue, emergency extraction, film & photography, fire suppression and aerial sling load. Take a look at the specific pages in this website for more information.